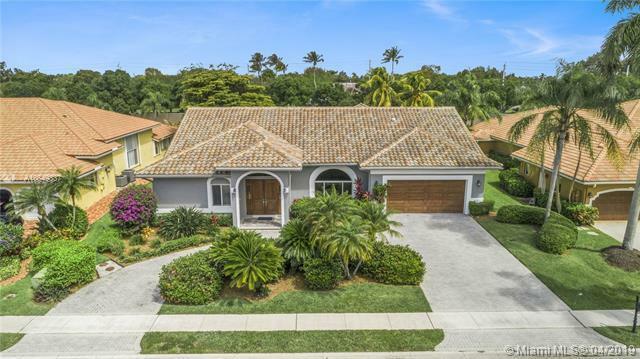 Presenting a rare opportunity to own this move-in ready 5BD/3BD pool home updated in 2018, w/private water views in the gated community of Plantation Palms. 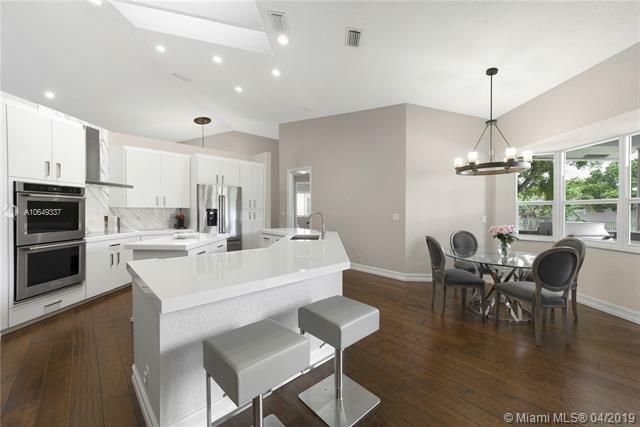 Modern living at its finest w/an open split plan featuring great room, formal dining, family room, private master suite, laundry room & storage options. 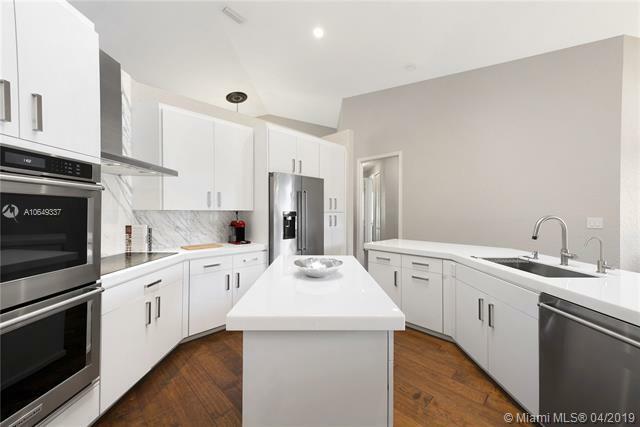 Brand new kitchen w/top-of-the-line SS appliances, custom glass countertops, double wall-ovens & induction cooktop. Enjoy Floridas outdoor lifestyle on your expansive loggia with summer kitchen and state-of-the-art built-in grill, perfect for entertaining. Entire property is hurricane impact, new roof & AC, hardwired security alarm & smart thermostat. 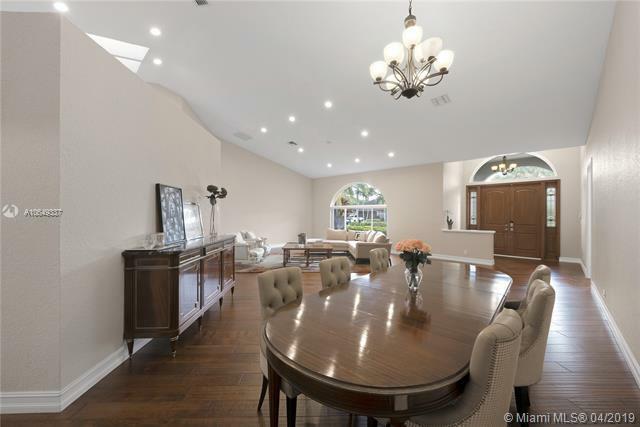 Located in A-rated school district of Central Park Elem., centrally located blocks from American Heritage. Bring your fussiest buyers.